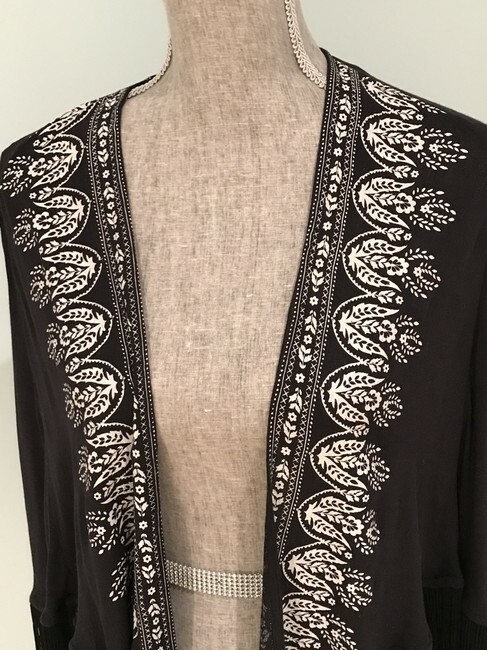 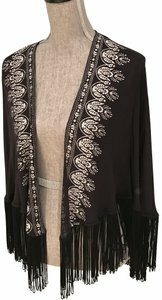 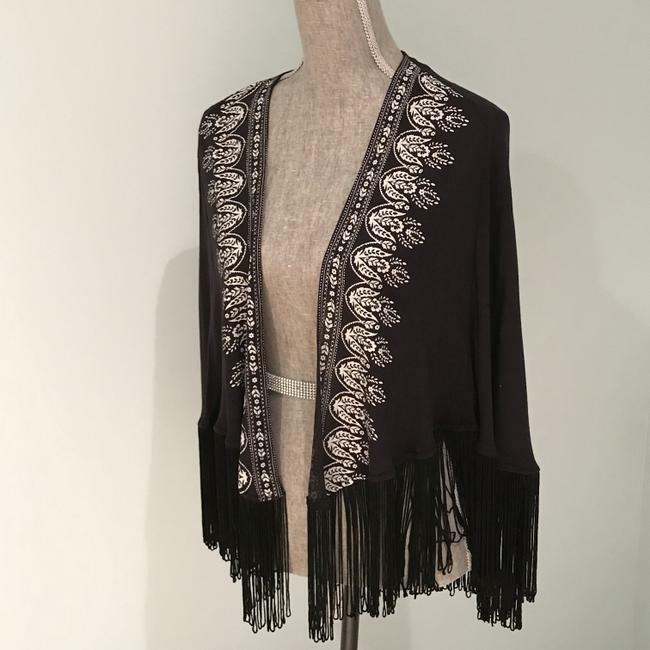 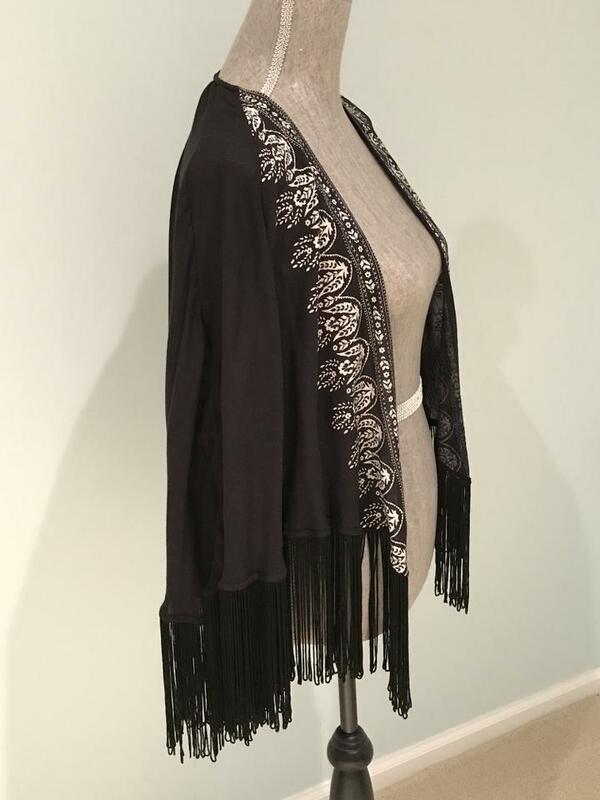 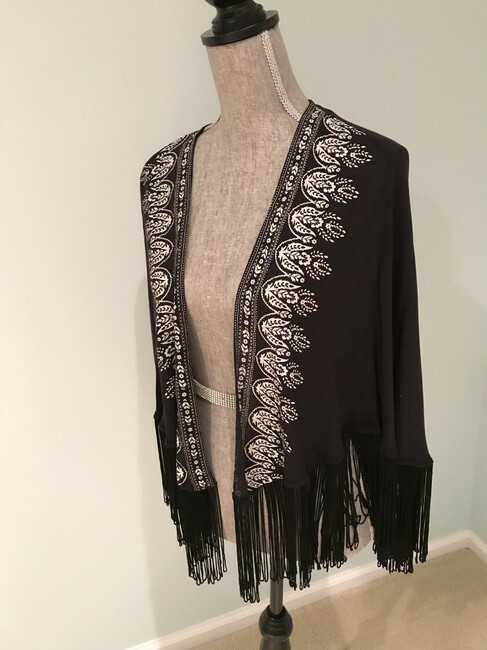 Beautiful black and ivory print open cardigan/kimono. 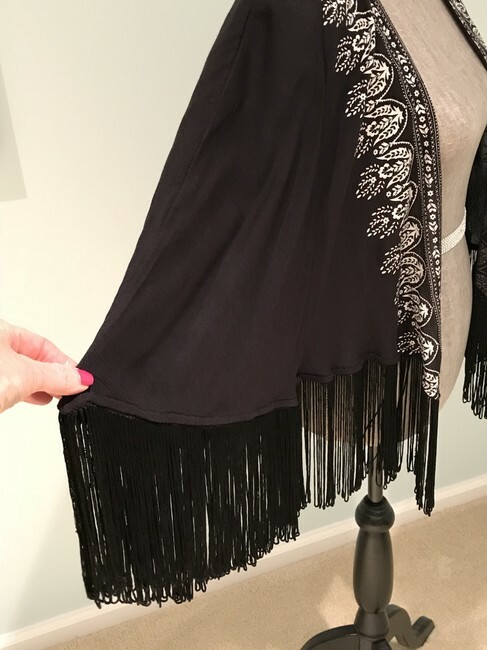 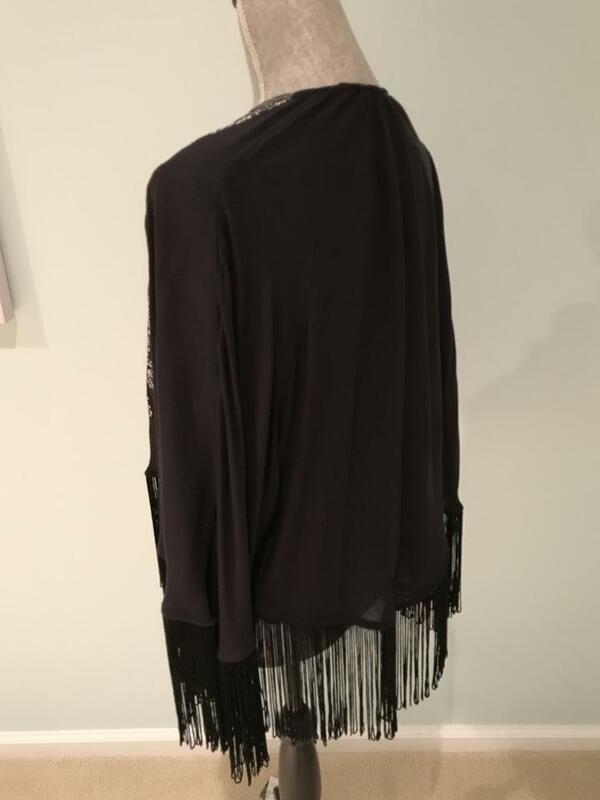 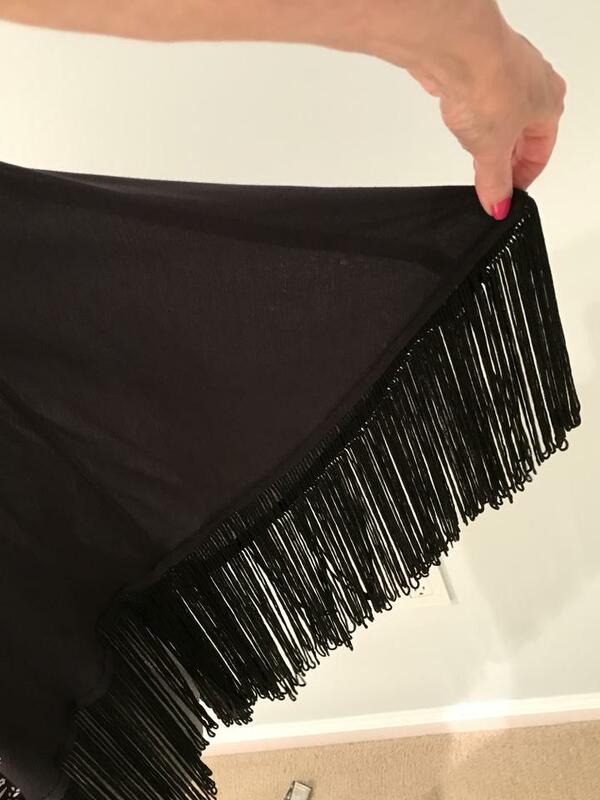 Looped fringe all around the bottom edges and butterfly sleeves. 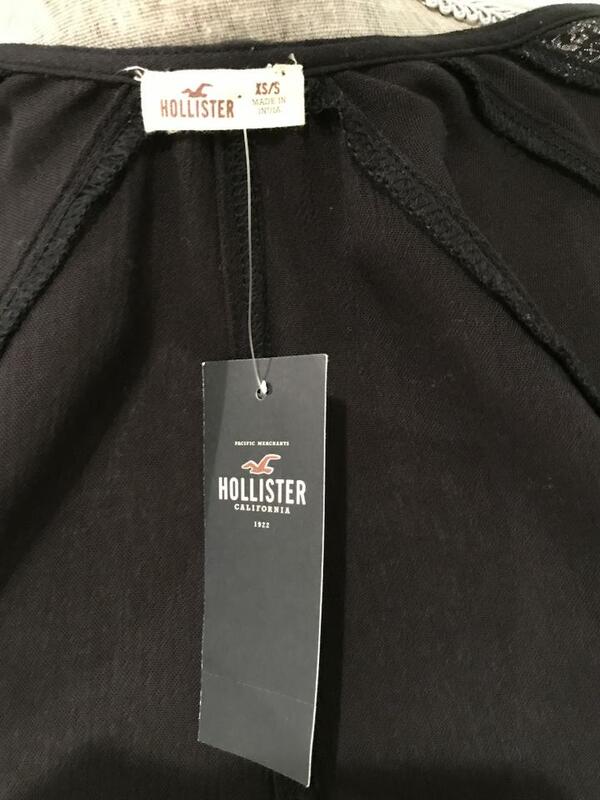 Feels great! 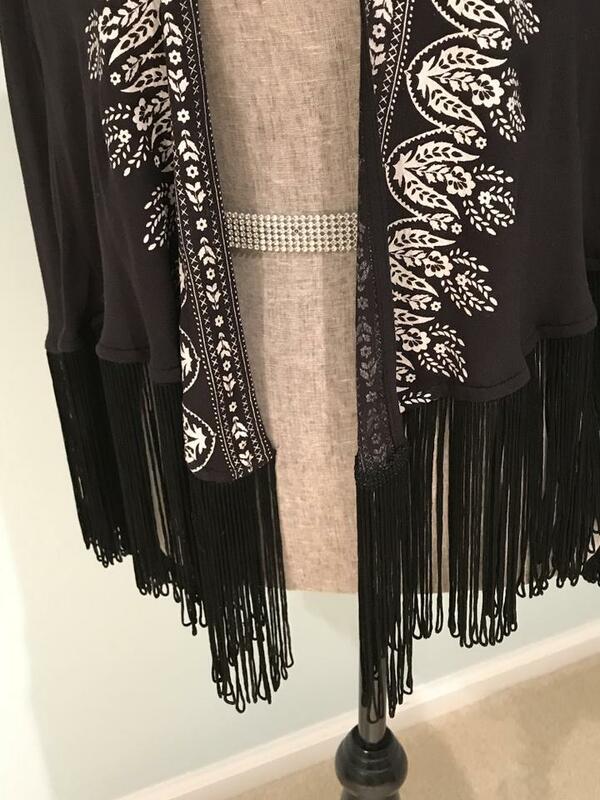 Looks great!